As a general rule of thumb for the Locksmith industry, this is a breakdown of charges. You call a Locksmith to have your bedroom handle lock that needs opening & you also need a key for the lock. Sometimes you might get a total price over the phone & the cost are not explained to the customer over the phone. How much does it cost to change the barrel on my front door lock? To Attend your location, the cost is $66.00 & Re-coding the lock is $11 per barrel. 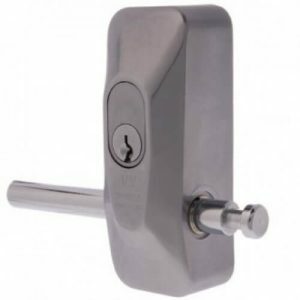 What is the difference between a single & double sided lock? A lock with two keyholes, is a double-sided lock. Can I have all my locks on the one key? How much does it cost to cut a standard key? What is the cost to have a lock repaired? The service call is $66, 1/2 hours labour is $44, we normally give you a fixed price quotation over the phone. What do Locksmiths charge to install a deadlock? $230 all up, Including Service call out fee, Labour to install, & the Lockwood 001 deadlock. Other locks like deadbolts are less expensive at about $140 to $160 all up. How much to replace a handle lock on a door? There are all kinds of handle locks, the locks range from as little as $20 to $140. 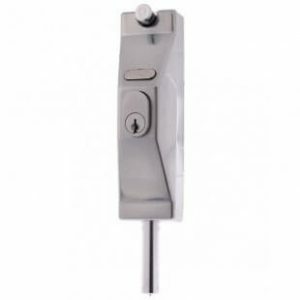 The commercial fire rated heavy duty handle locks are more expensive But are designed to have high volume use every day & last many years longer. Factory units, onesided Fire exit lock. How do I make my garage door more secure? There are some really well made and secure deadlocks available for garage doors.